There are cruises to Cuba from Charleston. The island was closed to visitors for years but is now open. Cuba "people to people" cruise excursions available include Havana community art projects, food tasting & modern dance, cigars & rum, Havana sites tour, Las Terrazas valley tour, colonial past tour, Cuban music experience, Tropicana Cabaret, Buena Vista Social Club, Hemingway tour, or preserved old cars experience. 4-day cruise to Cuba on Carnival Cruises. 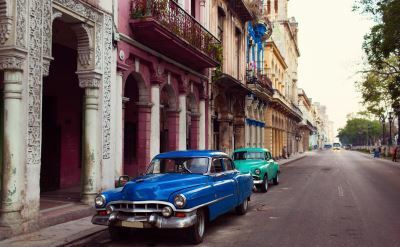 Round-trip cruise from Charleston to Havana (Cuba). At Havana on day 3 of the cruise from 9AM to 6PM. 5-day cruises to Cuba on Carnival Cruises. Round-trip cruise from Charleston to Freeport (Bahamas) and Havana (Cuba). At Freeport on day 3 of the cruise from 7AM to 3PM. At Havana on day 4 of the cruise from 9AM to 6PM. • 2020 departures: January 6, February 3, February 17, March 2, March 16, March 30, April 13, April 27, November 9. 5-day cruises to Cuba on Carnival Cruises. 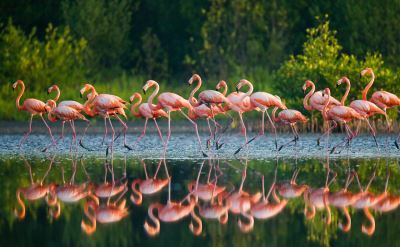 Round-trip cruise from Charleston to Key West (Florida) and Havana (Cuba). At Key West on Day 3 of the cruise from 8AM to 5PM. At Havana on day 4 of the cruise from 7AM to 6PM. • 2020 departures: May 11, June 8, June 22, August 3, August 31, September 14, October 12, December 7.